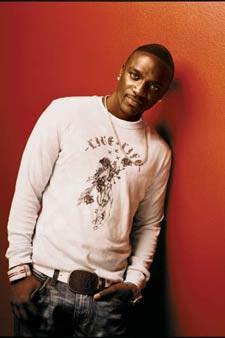 Celebz Gossips: Akon Scores A One-two On The Us Charts. Akon Scores A One-two On The Us Charts.... R&B star Akon has scored a second week at number one on the Billboard Hot 100 chart in America. The Senegalese star's Don'T Matter kept his duet with Gwen Stefani on The Sweet Escape off the top, and gave him a rare onetwo strike on the singles chart. Rapper Mims and Fergie's former number ones This Is Why I'M Hot and Glamorous hold on to top five places at numbers three and four respectively. And new dad Brad Paisley claims the week's top debut - his Ticks track enters the countdown at number 40. Meanwhile, Nine Inch Nails become only the second act to land four consecutive number ones on the Billboard Modern Rock chart after their Survivalism jumped up a spot from two to one.